The Han Dynasty was the second imperial dynasty in China and it followed the Qin Dynasty. The Han Dynasty was comprised of two periods – the Western and Eastern Han. The government was characterized by a combination of different feudal structures with central bureaucracy. 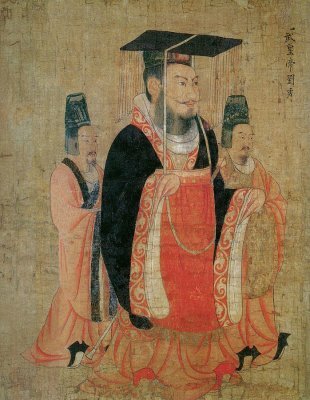 The head of the Han government was the emperor. He was in charge of creating laws and commanding the armed forces. He also served as a chief executive official. The dynasty’s imperial government was actually patterned after the preceding Qin Dynasty. One central control was also established which meant that the emperors had total control over all of China. The Emperor’s powers were unlimited so they were the most powerful people in the land. The emperors had three councilors of state - the Chancellor over Masses, the Imperial Counselor, and the Grand Commandant. The counselor’s main responsibility was drafting the government budget, conduct necessary disciplinary procedures for the government officials, and to command the military. There were nine ministers and each of them was assigned to head one specialized ministry. During the early years, imperial princes were made kings. These princes were given their own territories which they finally passed on to their sons after their death. This continued until the bloodline ended. The system was later eliminated by the emperor. The local government was composed of a province, commandery, counties and district. During the early Han period, only twelve provinces remained and each one was controlled by one governor appointed by the central government. The governors evaluated different officials based on their competence, honesty, and obedience. The commanderies were composed of counties. A county was the smallest division in this era to have centrally appointed official. Just like any other aspects of the Han dynasty, the system of government went on throughout the history of China.